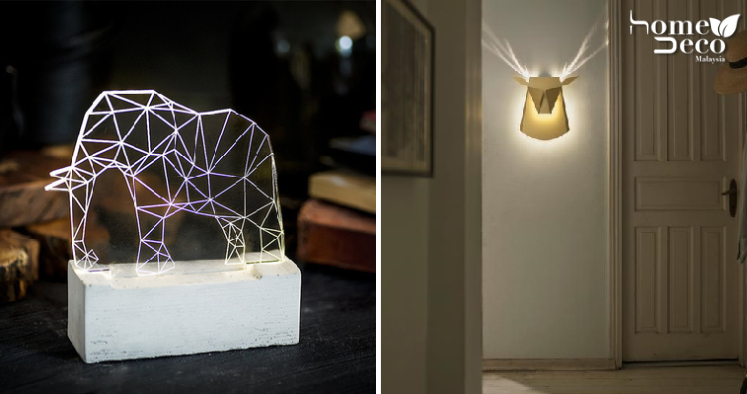 Bring a little bit of nature into your home with some cute and charming lamps in the shape of animals that will really glow up your home. There are so many awesome animal designs to choose from, you will be spoilt for choice! Don’t worry, we can help you with these great ideas to inspire you. Owls are very trendy creatures these days as you can see them popping up on all sorts of things from clothes, knickknacks and now even furniture. Here, the ceramic owls have lighted eyes that will give your home a spooky, nocturnal feel. The primate is human’s closest relative in the animal family and we think that honouring their presence by having a quirky monkey lamp is a super fun idea. You can choose from different poses but whichever one you choose, you can bet that it will be a real attention-grabbing item. Isn’t this such a lovely piece to have in your home? Whether you turn it on to emit that warm glow or just put it there as a piece of decor in your home, you know that it will be a great conversation starter and it is also the perfect gift for an avid fisherman or woman. If you’re sick of traditional chandeliers or boring old lamps then this neon bird lamp might be something that is just perfect to jazz up your home. The cute little bird in neon blue there is simply gorgeous and the metal spokes emulate a cage as well. This piece is so delicate yet beautiful that it will probably have you gazing at it for hours just admiring the handmade, engraved lines. The geometric lines spread the LED lights out and make it look as it if was alive. This is a truly amazing light that is like a work of art. It’s made like a folded origami style but the true surprise is when you turn it on and find that the deer’s antlers are pop up to complete the whole look.